1. 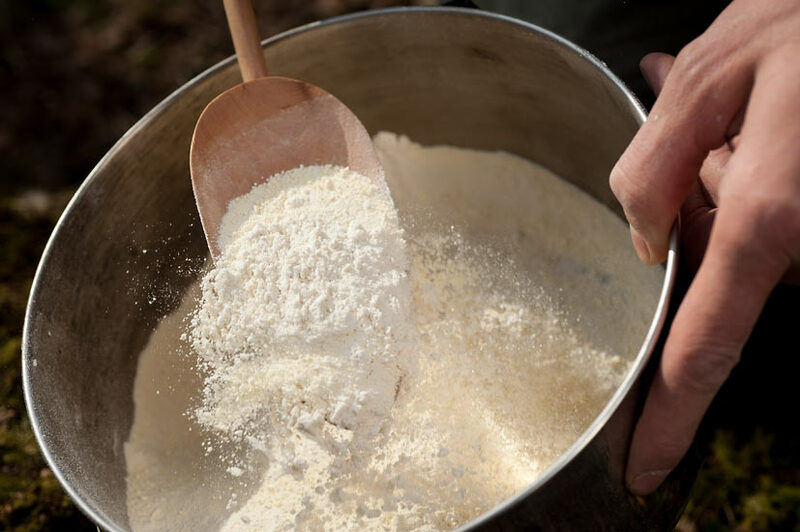 Add the flour, milk powder, baking powder and sugar to a large bowl or pan. 2. Sift the ingredients thoroughly with a wooden spoon. It is very important at this stage to aerate the dry ingredients. 3. Make a well in the pan and gradually add water. 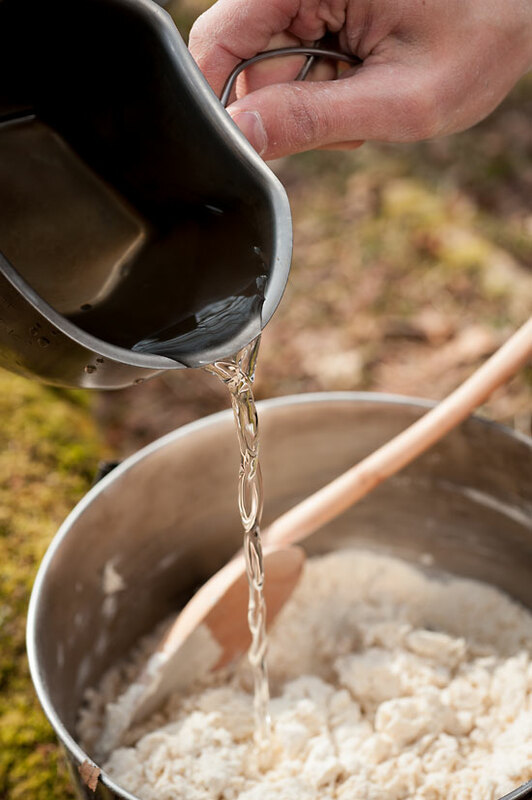 Stir the mixture until it binds into a stiff consistency. 4. Taking the dough in your hands, fold and push the mixed fruit into the mixture. Take care not to force too much air from the dough. 5. 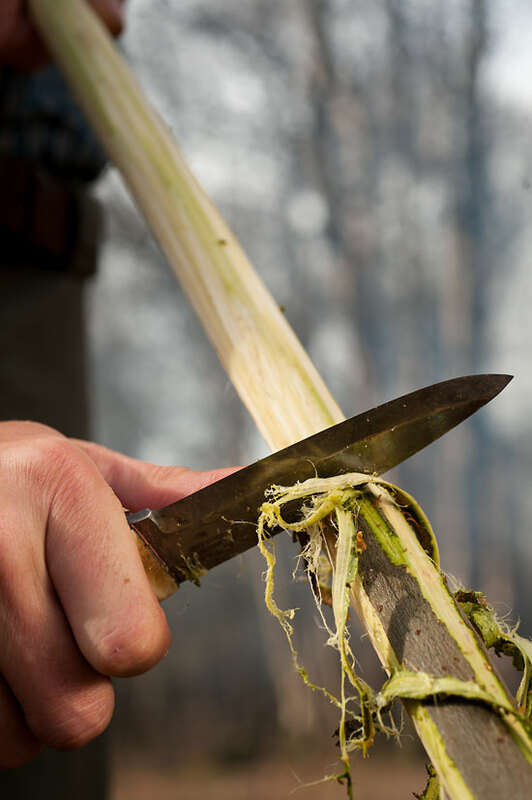 Find a green, non-toxic stick around an inch in diameter (for this article we used willow). Scrape it down to the bare wood and sharpen both ends. 6. 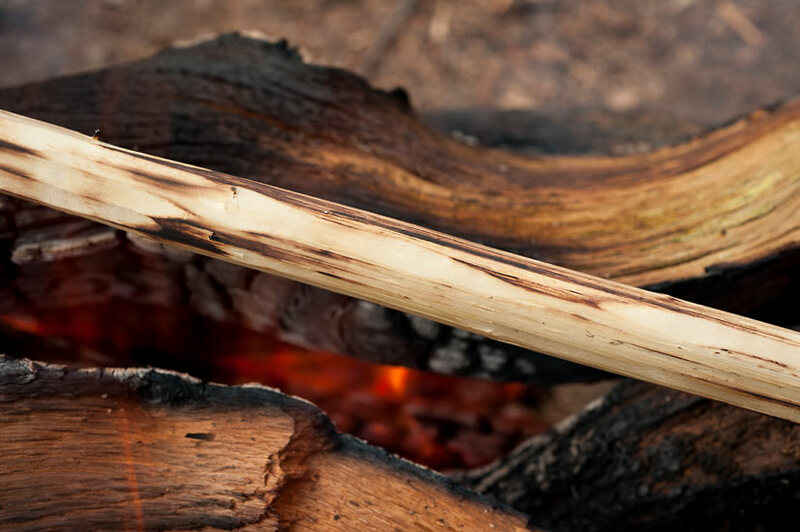 Thoroughly heat the stick over the fire until scorching. 7. 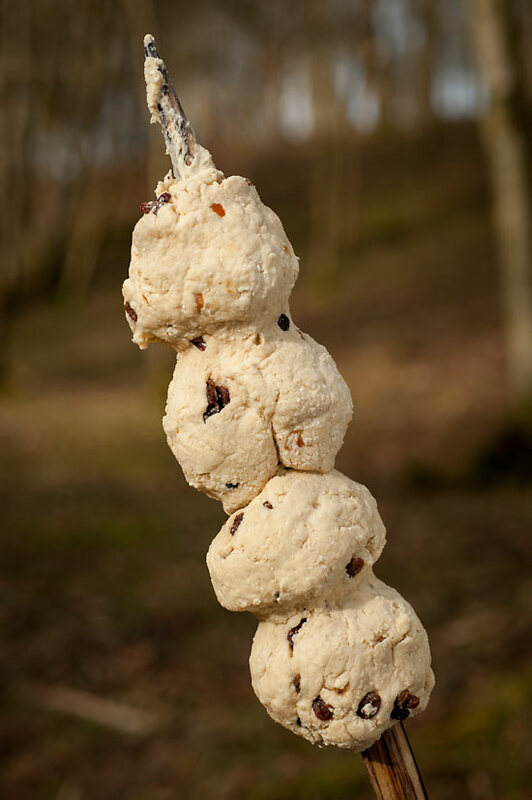 While the stick is still hot, quickly form the dough into balls and skewer them onto it, one after the other. 8. 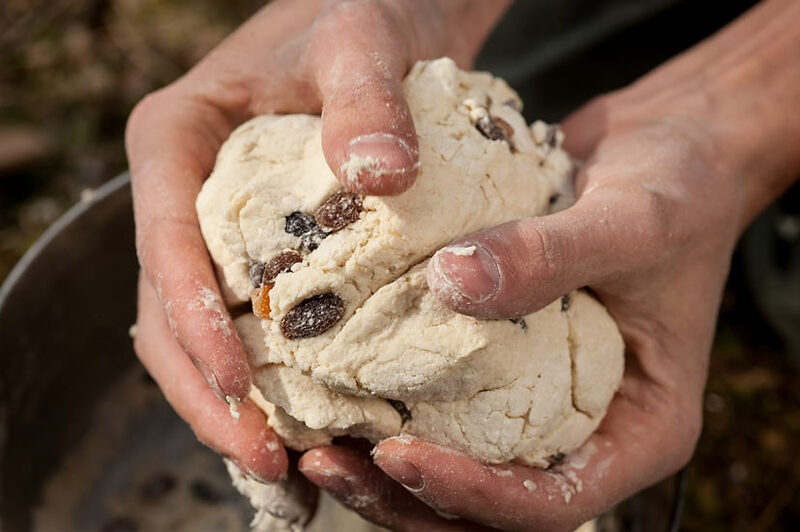 Push the dough balls together until they support each other. 9. Push the other end of the stick into the ground and lean it towards the embers, until the correct cooking temperature is achieved. 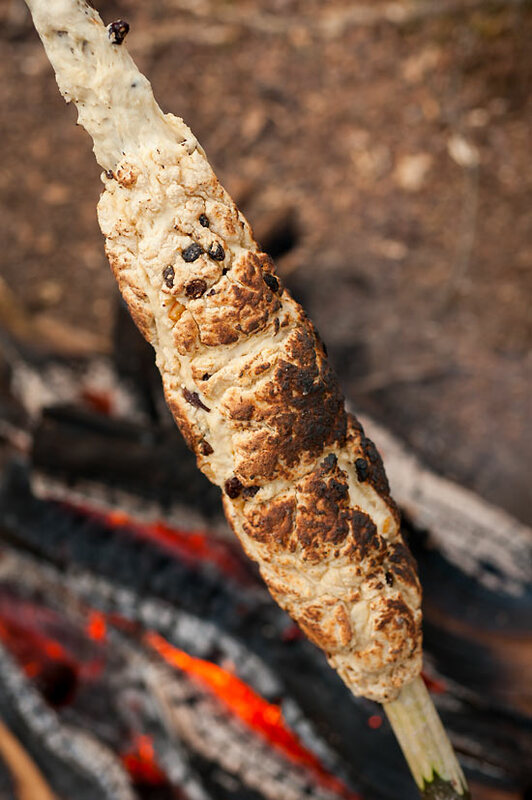 As a rule of thumb, the bread should be placed at a height above the fire at which you can hold your hand for no more than five seconds. 10. 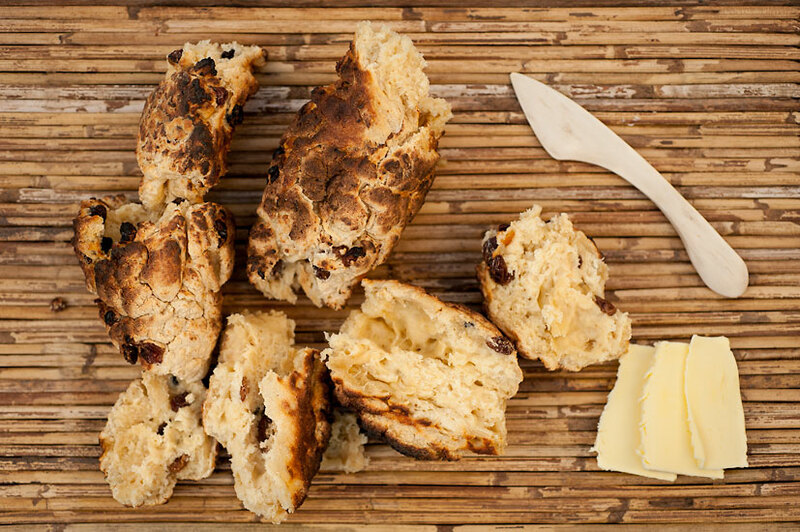 Pay a great deal of attention and turn the stick regularly during the early stages of cooking, to ensure that the bread does not sag or cook unevenly. Continue to rotate the stick until the bread is golden brown all over. 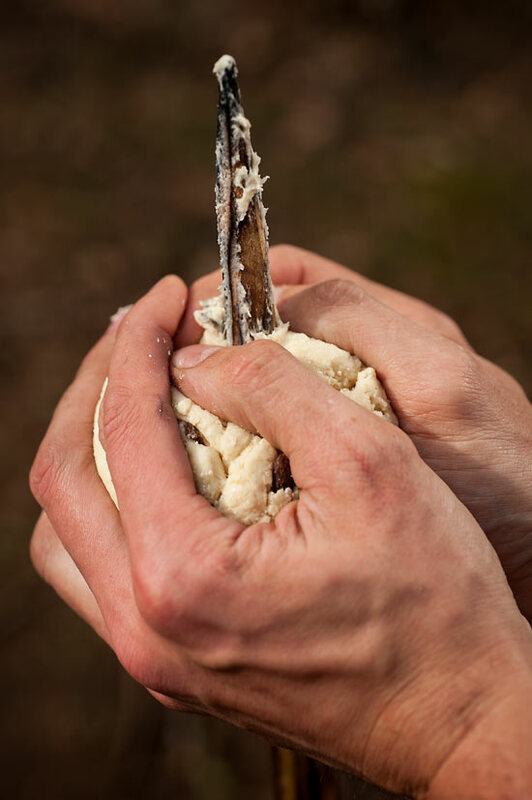 As a final check, insert a clean stick into the bread, just as you would with a skewer at home; if it comes back out clean, the baking should be complete. 11. Carefully remove the stick from the ground and peel away the bread. Serve whilst still warm with butter and jam. Thanks for a great post. 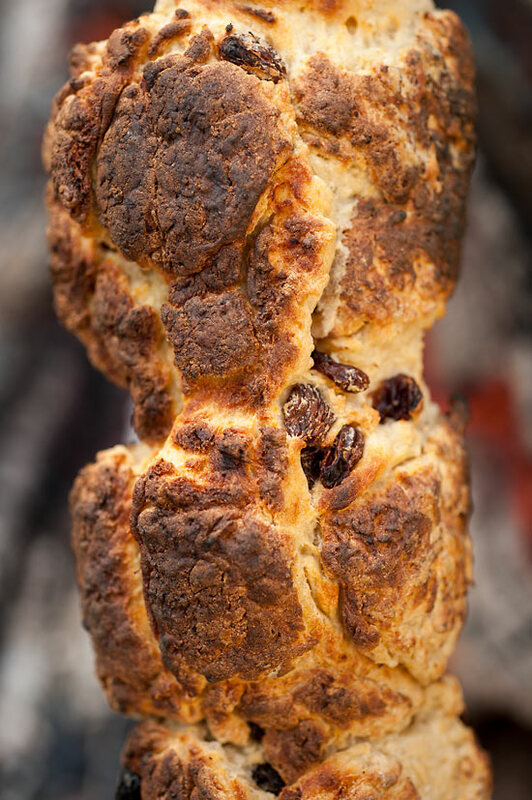 I followed Ray’s “Cake-like bannock” recipe that I copied from one of his DVD’s and it is the most delicious bannock I’ve ever had; it is my firm favourite and my go-to recipe every time! Thanks for this version too, I’ll give it a go! Please can you tell me where Ray got those wonderful leather pouches? Daniel… Search the internet for “Sami coffee bags”… You’re going to like what you find! Interesting tutorial! Thank you! 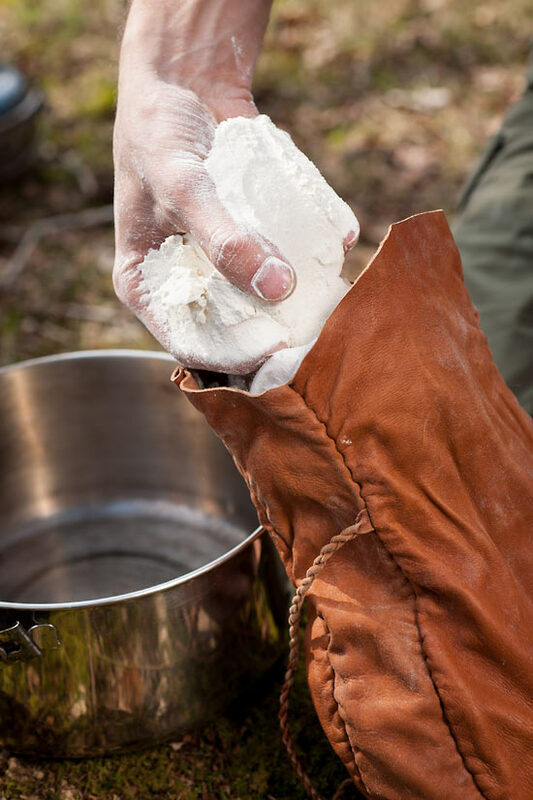 Now I have another good recipe for my hike!